The key to maximizing the performance of any combination is proper component selection. 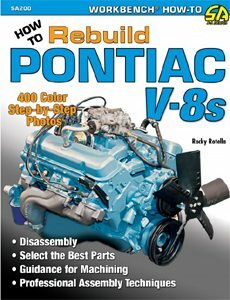 By expanding on the approach that Pontiac took when assembling combinations for its production vehicles, selecting components that compliment the operating characteristics of one another for a particular application, you typically produce a powerful engine that operates efficiently and reliably over a long period of time. There are a great number of machine shops, engine assemblers, and engine builders located throughout the country, and most are qualified to assist you in your quest for assembling a combination for your Pontiac V-8 that meets your performance expectations. Contact information for several companies that are intimately familiar with Pontiacs can be found in the Source Guide. 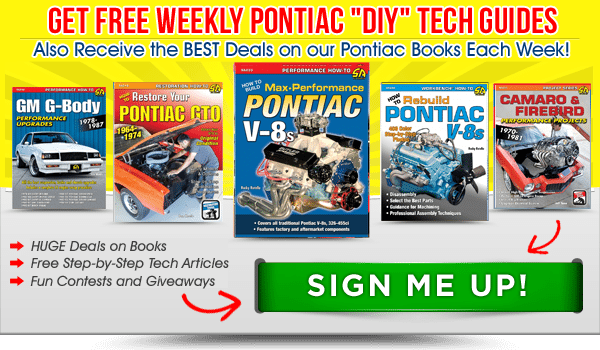 Here I provide you with an assortment of proven engine combinations from professional engine builders that use commonly available Pontiac engines as the basis. While any of those companies listed in the Source Guide should be capable of providing you with quality service and a reliable combination, space constraints prohibit listing every complete engine combination from each. In fairness to all, sources are limited to those companies that build Pontiac engines exclusively. That doesn’t remotely suggest, however, that others aren’t as knowledgeable or talented. 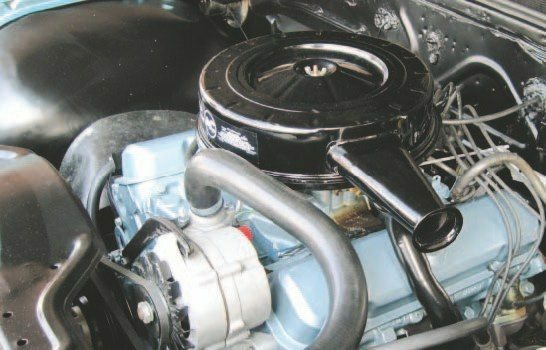 A select number of Pontiacspecific engine builders were each assigned a “stock” and “modified” engine package, using an engine of specific displacement and the intended parameters. The instruction stated that the package must operate reliably and perform within a reasonable range of the estimated horsepower and torque values provided. The intent of the “stock” combination was to end up with an engine that performs well while maintaining excellent street manners and a completely stock appearance. The builders were told that it must include cast-iron cylinder heads with mild modifications possible, a stockstroke crankshaft, a hydraulic flattappet camshaft, original intake and exhaust manifolds, and an original carburetor. The goal of the “modified” combination was to produce a highperformance engine that maintains a stock appearance and has good street manners. 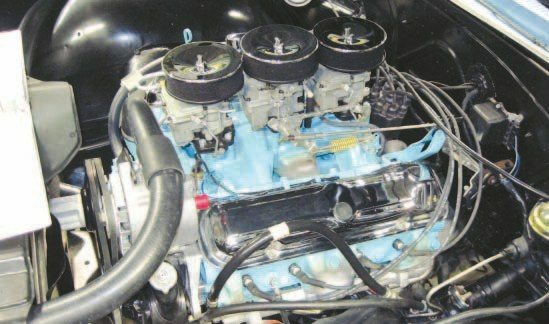 The use of certain aftermarket components was permissible, and these included certain aluminum cylinder heads, any aftermarket dual-plane intake manifold, and a roller camshaft, but it did require an original carburetor and cast-iron exhaust manifolds. The combinations on the following pages can be considered guidelines to arrive at the supplied horsepower and torque estimations. While any number of components could certainly be swapped for a like item, longevity, performance, or street manners could suffer. I suggest that effects of any variance outside the stated combination be verified with your builder. Dave Bisschop is well known for taking a moderate approach toward building strong performance engines. In fact, he has been building and racing Pontiacs for a number of years, and has spent a great deal of time finding ways to extract even more performance from stock Pontiac components. Some of the quickest stock-appearing Pontiacs in the country feature cylinder heads that have been ported by his company in Chilliwack, British Columbia. Dave is considered to be among the best Pontiac builders. Castings: Correct castings for the application (716, 77, 093) or equivalent. Castings: Most 1967-and-later castings, other than those used on low-compression 455s that accept 2.11/1.77- inch valves. Valve Locks and Retainers: 10-degree Manley or Comp Cams, chrome-moly. Ken Brewer began street racing Pontiacs on the West Coast and quickly gained a name by consistently beating the competition. 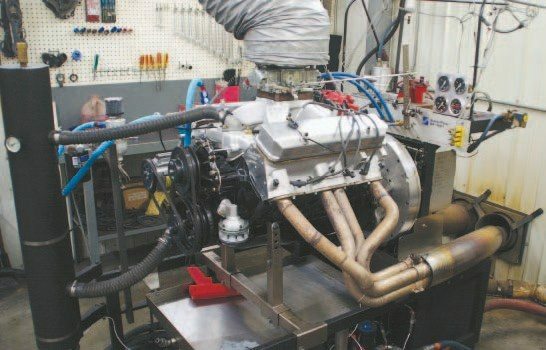 At the urging of Ken Crocie and Pete McCarthy, he started building engines for friends and decided to open Pacific Performance Racing in San Pedro, California, in 1994. 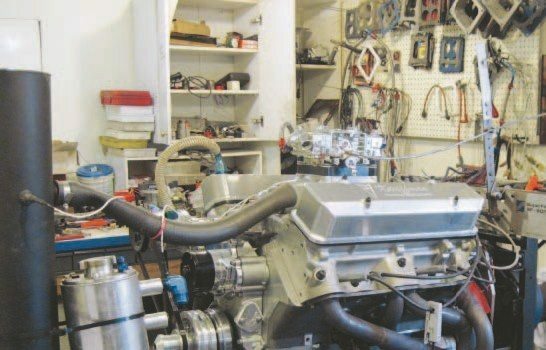 Specializing in Pontiacs of all sizes, Brewer caters to hobbyists who are beginning with engines that generally displace between 326 and 400 ci. His 383 engine package, which is built around a 350 block, has been featured in several national publications, and his popular “Tomahawk” product line provides hobbyists with quality products at an affordable price. Butler Performance in Leoma, Tennessee, has been building fast Pontiacs for a number of years. Sons David and Rodney have picked up where their father, Jim, left off. David Butler is among the most knowledgeable Pontiac builders and his approach toward any type of Pontiac performance can be backed up with successful results. With the ability to produce a stout performance engine with a stock appearance, or thousands of horsepower from a boosted application, Butler Performance can assist you with all your Pontiac needs. Projected Output Estimated Horsepower: 375 to 390 Estimated Torque: 450 ft-lbs Additional Suggestions or Comments Upgrading to a hydraulic roller camshaft is highly recommended given the changes in today’s readily available oils. 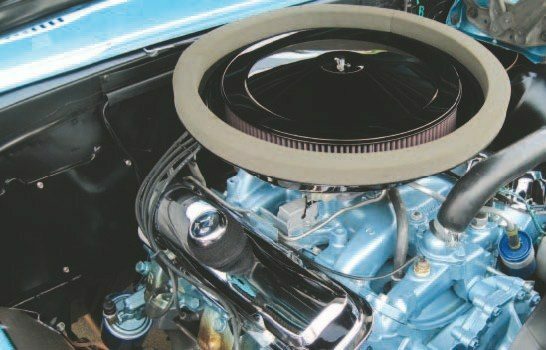 Another easy and recommended upgrade is to use a 1969-and-later timing cover and water pump for improved cooling capacity. A 1969–and-later timing cover and water pump for improved cooling capacity is easy and recommended upgrade. Many options are available to suit each customer’s application. A 4-inch-stroke crankshaft can be used to produce about 426-ci displacement and a 4.5-inch stroke crankshaft can be used to produce around 480 ci. Billet 4-bolt main caps are recommended when using a 4.5-inch-stroke crankshaft. Optional equipment includes a Torker 2 or Victor intake manifold, 850- to 950-cfm Holley carburetor, and Doug’s tubular headers. With this combination, 600 or more horsepower is possible with optional equipment. The Barry Grant Six-Shooter is also very popular with 389 and 421 customers who want the Tri-Power look but with modern performance and drivability. Kauffman Racing Equipment (KRE) in Glenmont, Ohio, is among the very best in the today’s Pontiac market. Since introducing its own cast-aluminum D-port cylinder head for Pontiac applications, KRE has gone on to develop various large-bore Pontiac blocks and highperformance cylinder heads. The engine packages designed by Jeff Kauffman provide proven results and rarely fall short of the owner’s expectations. Castings: Common 4X, 5C, or 6X. This is considered a typical stock rebuild in which old or overly stressed components are discarded and replaced with modern-stock replacements. It contains very few performance modifications and is designed for a long life with very little to no maintenance. This package is designed to be a sleeper combo and provide great street manners. The engine should idle at around 800 to 850 rpm and offer sufficient vacuum for power brakes. It has an expected power range of 2,500 to 6,000 rpm with a peak power point of 5,600 rpm. That should equate to low maintenance for RPM use and longevity for the street, but should still be very quick on the drag strip. Possible upgrades include installing a KRE Northwind intake manifold and Pro System 1,000-cfm carburetor for an extra 15 to 25 hp. A set of KRE High Port cylinder heads, tubular headers, or a solid roller camshaft increases RPM and power output. Said changes should yield anywhere between 15 and 80 additional horsepower. Scott Tiemann is generally regarded among the top Pontiac restorers in the business, and he’s been operating his company, Supercar Specialties, in Portland, Michigan, on a full-time basis since 1989. He has being building Pontiac engines longer than he’s been restoring vehicles. His most recent accomplishments as builder and restorer are showcased in two different 1968 Firebird’s he’s completely restored and rebuilt for the popular Pure-Stock class and Factory Appearing Stock Tire (F.A.S.T.) series racing. Both Firebirds are not merely consistent show winners; they are the fastest Pontiac entries in both racing series. Castings: 1968-1/2 number-96 Ram Air II round port. Exhaust Exhaust Manifold: Reproduction round-port long-branch manifolds Exhaust Tube Diameter: 2.5-inch mandrel bent Muffler: Pypes Crossflow Exhaust Crossover: X-type Or Complete Exhaust Kit: Pypes Crossflow system Gearing Auto Trans Converter Stall Speed: 2,500 to 3,000 rpm Suggested Rear Axle Ratio: 4.33:1 Projected Output Measured Horsepower: 470 at 6,000 rpm Measured Torque: 490 ft-lbs at 4,000 rpm Additional Suggestions or Comments This engine is currently the fastest Pontiac combination at the Dan Jensen/Bob Boden Pure Stock Muscle Car drag race. Installed into Rick Mahoney’s 1968 Firebird that weighs 3,450 pounds with driver and has ran a quickest so far of 11.63 at 117.64 mph. Firebird that races in F.A.S.T. series. It weighs 3,350 pounds with driver and has ran a quickest so far of 10.50 at 132.2 mph.